What is your workload capacity? Whether you are a large organization with multiple employees in different geographic regions or a single user in one location, we can accommodate any volume of work without any prior notification. Our network of typists work around the clock to ensure you will always have a quick and easy completion of your transcription needs. How soon after my dictation is completed will my document be returned? Typically, work is returned in about 3 hours. Other than the per word cost, are there any additional costs or fees to utilize this service? No. You only pay for the work produced at the per word cost. There are no other fees, charges or costs. This means no overtime, no rush fees, no minimum usage requirement. If I call right now to set up a new account, when will I be able to use the service? New accounts are typically ready to use within an hour after the submission of your new account information to us. If you have any questions, please contact Customer Support at (800) 828-3889. Do I need any special equipment to use SpeakWrite? You don’t need special equipment to use our service. You only need a telephone to dictate and an email account to receive your completed documents. You can call the toll-free dictation line at (800) YOU-DICTATE (800-968-3428). Where can I get instructions on how to use the system? Complete instructions on how to use our system to dictate are available on our Support Home page, on our automated system number (800) 968-3428 or you can obtain a printed Quick Start Guide and Wallet Card to keep available where ever you are by calling our toll free Customer Support number (800) 828-3889. Do I have to call from the same phone each time? You can use any phone from any location to call SpeakWrite: car phone, cell phone, pay phone, office phone, etc. How difficult is it to use the system? The system is actually quite easy to use. Once you set up your account, simply call the toll free dictation number (800) 968-3428 and follow the automated instructions. If you should encounter any problems, call Customer Support at (800) 828-3889. What if I sign up and then don’t use the service very often? No problem. It costs you absolutely nothing to have an account. You only pay for the work that our typists produce. You can use the system once a year or three times a day, whatever fits your pace and your needs. Is there a fee for submitting my work after business hours or on holidays/weekends? No. You can submit your work any time, any day of the year, and expect to receive it in about three hours. Pricing remains the same. How can you return work so quickly, yet maintain affordable pricing? SpeakWrite utilizes a unique pool of US-based typists who create work schedules that allow for around-the-clock coverage. How secure and confidential is my work? Your dictation is transmitted over secure lines to a randomly chosen typist to be transcribed, and your completed draft is emailed back to you. As an added feature, you can indicate that you want your work to be accessible only by your password once it is completed and returned to your email address. Safeguarding client data, including Protected Health Information (PHI), is a top priority at SpeakWrite. Our privacy & security policies and procedures adhere to the Health Insurance Portability and Accountability Act (HIPAA) of 1996 as outlined below. SpeakWrite does not facilitate health care treatment, payment or operations for our clients but does process client dictations and documents that contain Protected Health Information (PHI). Therefore, we approach HIPAA’s Privacy Rule with the level of emphasis that is expected from all business associates of covered entities. SpeakWrite educates all employees and typists on the importance of protecting client information. All SpeakWrite employees and typists take HIPAA training, and sign confidentiality agreements that reinforce our privacy policies and procedures. This rule concerns security of Electronic Protected Health Information. 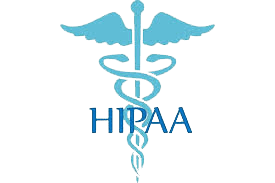 There are three types of security safeguards outlined in HIPAA: Administrative, Physical and Technical. SpeakWrite has a Privacy Officer to develop HIPAA-related policies and monitor and enforce compliance of those policies by SpeakWrite employees and typists. The Privacy Officer oversees the implementation of HIPAA and security awareness training for employees and typists, as well as prevention, detection, containment and correction of security violations. The Privacy Officer, in conjunction with the VP of Technology, continually assess and manage security risks in accordance with SpeakWrite’s risk management procedures. The SpeakWrite system restricts access to PHI to individuals who have the required access authority and appropriate clearances. SpeakWrite has policies and procedures for employee roll-on and terminations and monitors access on an ongoing basis. Both our clients and our typists require authentication in the system. Clients are authenticated using their Account ID and PIN when they use the toll-free dictation line or login to the web site. Typists are authenticated at multiple steps in the transcription process to increase the level of security. Our security model uses authorization to verify client access upon logging in and to verify which functionality is available to that particular client. For typists, authorization is used to verify that they have been assigned a job and verifies the authority of a typist to download job information and upload finished documents. We maintain virus protection software on all servers to detect malicious software. SpeakWrite tracking mechanisms monitor each log-in and authentication to our system. We do not permit the sharing of passwords or email passwords. We revoke Employee User IDs that have not been used for a period of 60 days. All employees are required to change their passwords every 30 days. SpeakWrite continually transports data to a parallel disaster recovery environment that is geographically separate from our production environment. In case of a disaster, SpeakWrite has a disaster recovery plan with detailed procedures on moving operations to the disaster recovery site. Both the production and disaster recovery sites are located in hosted and managed data centers. We have multiple redundancies in place as contingencies in case of power failure, internet failure or WAN failure. We have additional phone lines available and activate them as needed to handle any increased call volume with no interruption of service. SpeakWrite maintains a minimum cushion of available server storage space necessary to provide services at several times our current volume. Our technical staff uses automated monitoring tools to constantly evaluate capacity and increase it as necessary. We have an Emergency Mode Operation Plan in place with contingencies for multiple scenarios. SpeakWrite implements a security audit on all system changes and continually monitors and updates security controls and processes in order to document compliance with its own security policies and the HIPAA Security Rule. As a business associate of covered entities, we adhere to the covered entity’s contract requirements and provisions. We contractually agree that SpeakWrite will not use or further disclose the PHI other than as permitted or required by the contract or as required by law. SpeakWrite’s production and disaster recovery environments are located in geographically dispersed collocation facilities with redundant power (grid, battery and generator power), HVAC, and networks. The collocation facilities maintain physical security including card access, locking server racks and monitoring via closed-circuit television. SpeakWrite implements a workstation lockout policy and requires employees to change their passwords every 30 days. SpeakWrite has policies and procedures to prevent unauthorized physical access to workstations that can access PHI while ensuring that authorized employees have appropriate access. All systems require a unique user name and password to gain access. SpeakWrite desktops implement an automatic lockout policy if left unattended. SpeakWrite tracks and logs all movement of information systems and electronic media containing PHI. SpeakWrite ensures that electronically transmitted PHI is not improperly modified by implementing 128-bit secure socket layer encryption and audit trails. All users have a unique user name and password to access our system. All users seeking access are appropriately authenticated before access is granted.